When projects require problem solving, you can’t track progress with to-dos alone. To-dos show what’s done and not done. They don’t show what’s unknown and where the team is getting stuck. Before someone can complete a task they first have to figure out how to do it. There’s an “uphill” phase where they learn what’s possible and try out different approaches before settling on the right direction. Once work is “over the hill,” you can count on it happening. The unknowns are gone and estimates become believable. Hill Charts give you a bird's eye view of what's moving forward with confidence and what isn't. You'll know exactly where to jump in and troubleshoot — without all the meetings it usually takes to figure out what's going on. 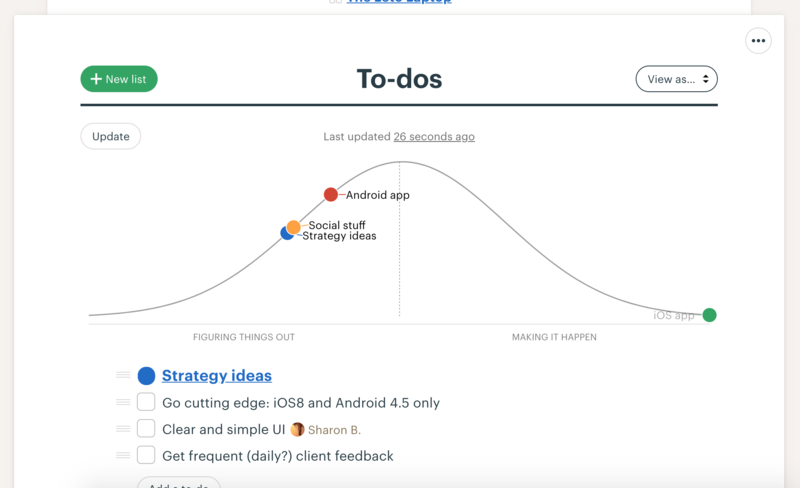 We created Hill Charts to give you a quick, flexible visualization of where your projects stand, and what questions need to be answered in order to keep progress moving. To track a list, click the name of the to-do list and then choose “Track on the Hill Chart” from the options menu. The Hill Chart appears when at least one list is being tracked. Each tracked list will get a colorful Dot beside it and it will appear on the Hill. Clients will see any to-do lists that you've marked as visible to them, but they will not see the Hill Chart. 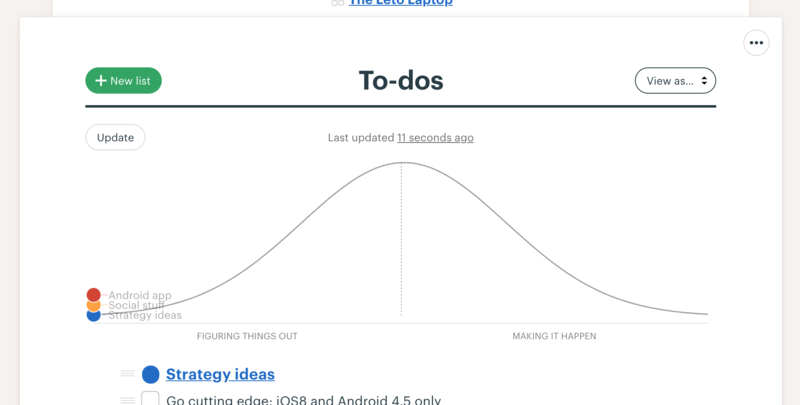 You can review all your updates to a Hill Chart, so you can see progress over time. Inside the To-dos ••• menu, you can quickly toggle each list on/off the Hill. If you uncheck all of the lists, you'll remove the Hill Chart entirely.